« Join Starship on the 80’s Cruise! Frontiers Music Srl is pleased to announce the release of Roth Brock Project self-titled debut album on November 4th. 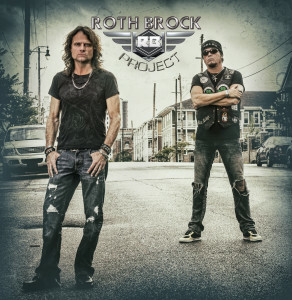 The Roth Brock Project is the exciting artistic union between guitarist John Roth (Winger, Starship, Giant) and singer Terry Brock (Strangeways, Giant, Leroux). The pair first met in 2009 while working on Giant’s “Promise Land” record. They soon developed a unique songwriting chemistry and musical bond which all these years later has led to their debut release for Frontiers Music Srl. Powerhouse vocals and thundering guitars are at the forefront of this stellar collaboration from two of rock’s most seasoned and underrated veterans. “The Roth Brock Project is the kind of record I’ve been wanting to make for a long time!” says John Roth “Guitar-Driven High Energy Rock with Stellar vocals is the first thing you’ll hear when you put this album on, so get ready to crank it up! Young Gun; What’s It To Ya; Young Again; If That’s What It Takes; I Don’t Know Why; Distant Voices; We Are; Fighter; My City; Never Givin’ Up; Reason To Believe.